On the Gulf Coast, we are lucky to have mild winters where outdoor activities can be a great option for fun and exercise year-round. Biking is one great way to get in a work out or just enjoy the beautiful southern scenery. However, with the growing population, the roads are getting more and more crowded each year, not so safe for cyclists or pedestrians. 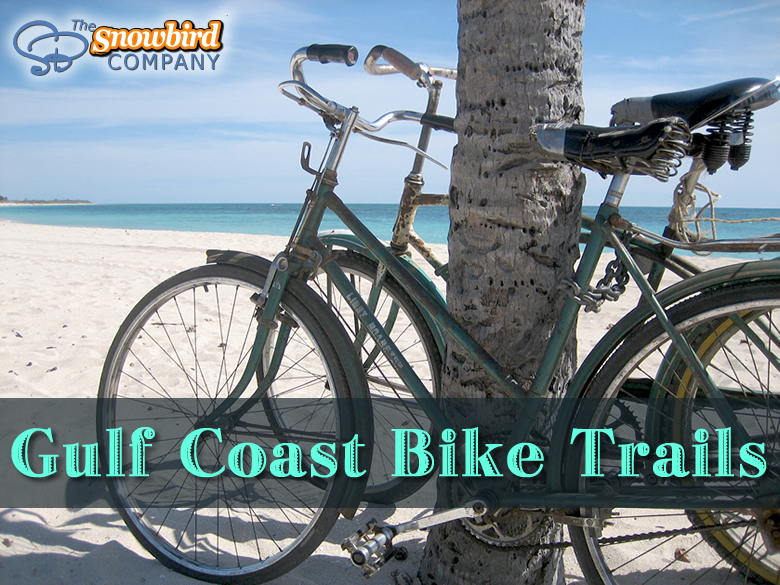 Here are several excellent (and safe) bike trails to enjoy this snowbird season. One of the most popular multi-purpose hiking and biking trails in Daphne is the Eastern Shore Trail. 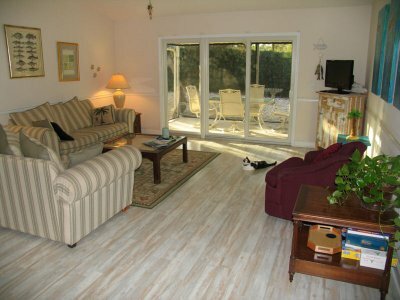 It is 32 miles long and stretches along the communities of Daphne, Montrose, Fairhope, Battles Wharf and Point Clear. The Eastern Shore Trail begins at the USS Alabama Memorial Park at Battleship Causeway, through scenic Gator Alley, along historic oaks and tempting shopping of Olde Town Daphne to Weeks Bay in Barnwell. The trail boasts incredible views of Mobile Bay. The Fort Morgan Road Trail is just a nice pedal from the intersection of Alabama Highway 59 and Highway 180 at the Rouses Shopping Center to the Peninsula Golf and Racket Club, a distance of 5.4-miles one way. The trail is a wide, multi-use path that parallels Highway 180 to the west, but most of the trip is well off the road behind a barrier of trees. The trail is good for families since it is a nice, paved, level track, but may be difficult for small children round-trip. At the 4-mile mark there is a small store where you can pick up drinks, snacks, or use the restroom. Winding through the “backcountry” of Gulf State Park is the Hugh S. Branyon Backcountry Trail, a series of eight paved multi-use trails of varying lengths that travel through 6 different ecosystems. The paths give you plenty of options for long or short trips and are perfect for both families and more-experienced road bikers. There are restrooms and water fountains either on the trail or just off the trail. Any you never know what wildlife you may spot on your journey. For long-distance road bikers, the Alabama to Florida “trail” begins at the Public Beach parking area at the end of Highway 59 in Gulf Shores and follows the shoreline along Highway 182 all the way to Perdido Beach State Park in Florida, a trip of 13.7-miles one-way. 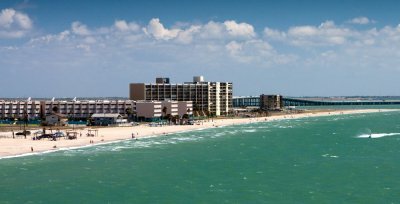 The ride takes you past beautiful white beaches, sand dunes, and turquoise Gulf waters. Just before crossing into Florida, you’ll pass the Flora-Bama Lounge & Oyster Bar. The Blackwater Heritage State Trail is more than nine miles of paved trail that offers an enjoyable trip through a quaint North Florida town and out into the countryside where wooden bridges cross several creeks and native wildflowers dot the landscape. The trail extends eight miles north to join the U.S. Navy's 1.5-mile Military Heritage Trail, which ends at the Naval Air Station Whiting Field. 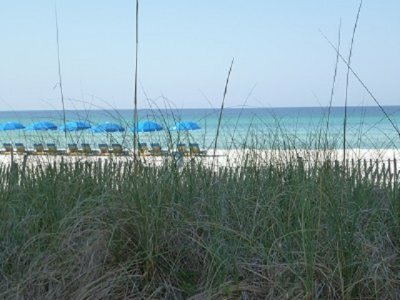 The Timpoochee Trail follows the length of CR30A southeast of Fort Walton Beach along the Gulf of Mexico, through South Walton County beach communities, near several state parks, with beach access and views of sand dunes. The coastal dune lakes are rare, they only occur in five locations around the world. The South Santa Rosa Loop Trail is a 40-mile paved trail open to cyclists, skaters and foot traffic. The loop begins at Navarre Park, located about 22 miles from Pensacola in Navarre, Florida, and takes cyclists along the Gulf of Mexico's sandy beaches, past the Intracoastal Waterway, through area forests and local neighborhoods. Cyclists are likely to see a variety of Florida wildlife, such as skinks, ospreys and woodpeckers along the mainland side of the trail, while the Gulf side offers scenic water views. The Gulf Island National Seashore has several bike paths for cyclists to explore. The seashore's Naval Live Oaks area, located just more than eight miles from Pensacola, is home to 2.5 miles of the South Santa Rosa Loop and provides an alternative spot to start a ride around the 40 mile trail. The Fort Pickens area of the shore, located about 18 miles from Pensacola, features two single-use bike paths. A 4-mile trail starts at the park entrance and leads to the ranger station, while a second 3-mile trail leads from the Battery Langdon, located near the center of the area to the fort. The Pascagoula Historic Bike Trail offers a unique combination of cycling, nature, history, and coastal culture. There are 15 points of interest along the trail including the Round Island Lighthouse, La Pointe-Krebs House, several historic districts, Ingalls Shipyard Iron Gates, Jimmy Buffett's childhood home, the site where Faulkner wrote "Mosquitoes" and allegedly wrote "Intruder in the Dust," Zachary Taylor House, The Longfellow House, and the Old Pascagoula High School. Mississippi's 15.5 mile round-trip Live Oaks Bicycle Route connects the Davis Bayou Area of the Seashore to the town of Ocean Springs at the Old Louisville and Nashville Train Depot (Ocean Springs Historic L&N Train Depot). Follow the green and white bike-route signs on the right side of the city streets. South Bethel Trails is a 19 mile long trail that provides differing levels of challenge for the mountain bike rider. Seventeen miles of trail have been designated to motorcycle riders.